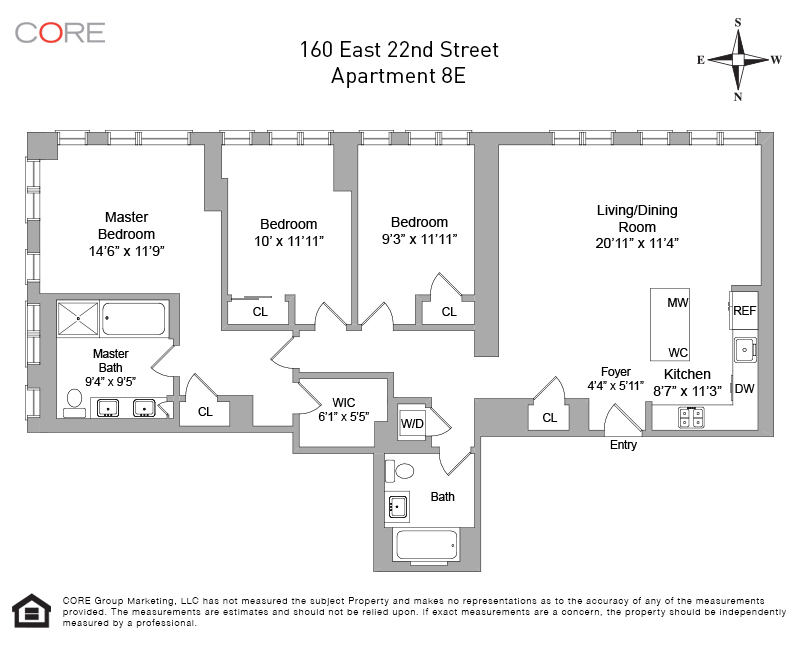 This brand new luxury 3-bedroom unit at 160 E. 22nd Street condo is located in the highly coveted Gramercy Park. This corner unit with floor-to-ceiling glass in every room features both southern and eastern exposures. The unit has beautiful 5-foot white oak floors, zoned heating and cooling and 9-foot ceilings. The open kitchen offers a center island for added countertop space, upscale appliances including a Sub-Zero refrigerator, Miele cooktop and oven, Miele hidden silent dishwasher, 15 bottle wine chiller and stone countertops. There are also 2 luxury stone baths, a Bosch Energy Star washer/dryer and ample closet space. The master bath features a soaking tub and separate glass enclosed rain shower.